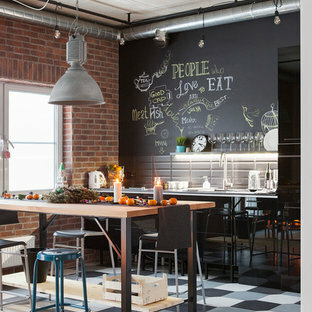 Scopri su Houzz la più vasta collezione di foto e idee per: Piastrelle esagonali in cucina. Sfoglia 94 foto sul tema e lasciati ispirare per il tuo prossimo progetto. 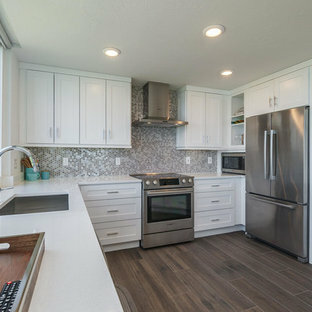 This Kitchen Includes a: dishwasher, sing, double door fridge, stove, oven, Microwave, island with shelves. 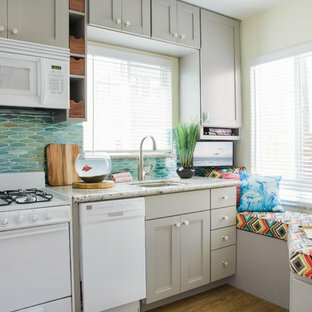 Accenting the teal glass backsplash tile is the cozy window seat with a colorful vibrant diamond pattern. In Small spaces you need to maximize every inch. In this space a custom bench seat was made to not only cozy up and read a book but also to use as storage for bigger beach items like umbrellas and an additional air mattress! A reading light and plug were added to the wall for additional light while reading and a place to change your phone while in use. The layered patterned pillows add fun and excitement to the small corner space. 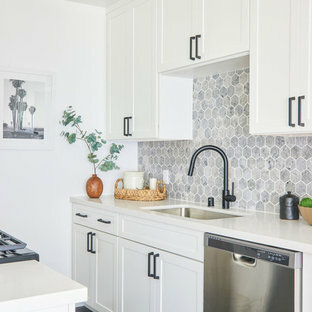 With a touch of beach decor the small studio apartment does not become overwhelmed with clique items. Designed by Space Consultant Danielle Perkins @ DANIELLE Interior Design & Decor. Photography by Taylor Abeel Photography. 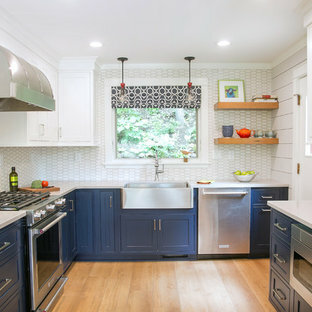 GENEVA CABINET COMPANY, LLC., Lake Geneva, WI., -What better way to reflect your lake location than with a splash of blue. 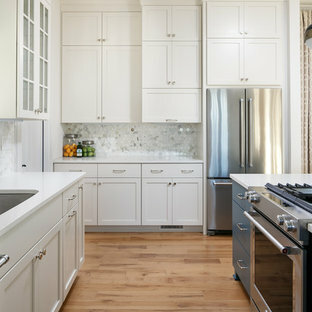 This kitchen pairs the bold Naval finish from Shiloh Cabinetry with a bright rim of Polar White Upper cabinets. 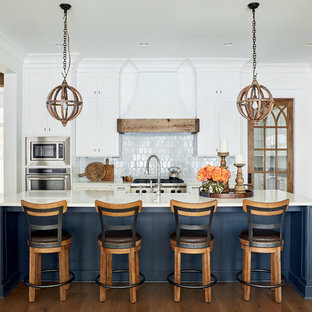 All is balanced with the warmth of their Maple Gunstock finish on the wine/beverage bar and the subtle texture of Shiplap walls. 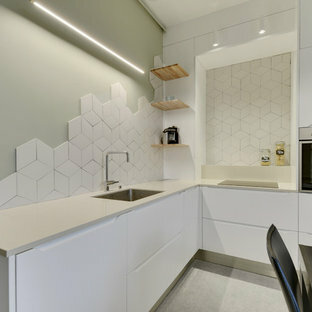 The kitchen design is kept simple and bright. 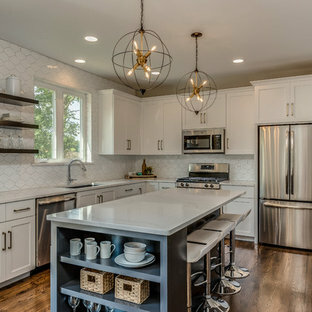 We balanced white cabinetry, countertops and a hexagon backsplash with dramatic walnut floating shelves.